The "Be Beautiful Be Yourself Jet Set Fashion Show 2010 Saks Fifth Avenue Kickoff Party," benefiting the Linda Crnic Institute for Down Syndrome, supported by the Global Down Syndrome Foundation, at Saks Fifth Avenue Cherry Creek in Denver, Colorado, on Tuesday, July 27, 2010. Laura Barton, Alison Winfield and her daughter, Kate, and Michelle Sie Whitten. 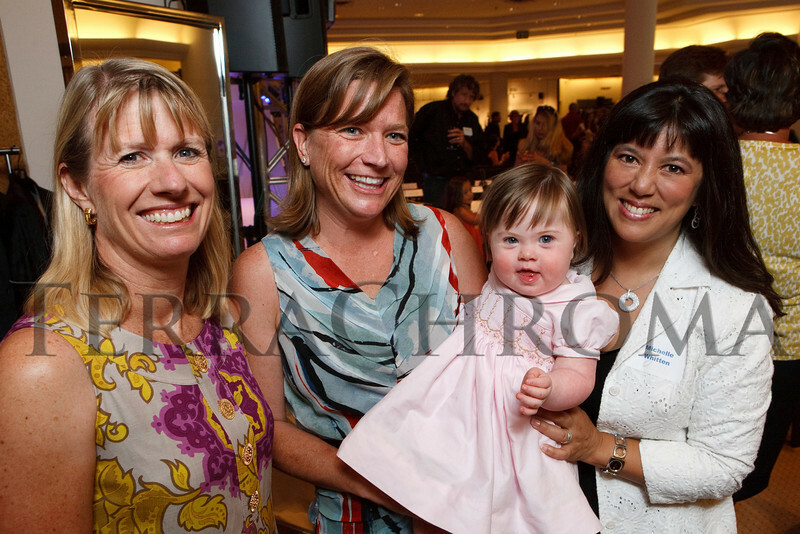 The "Be Beautiful Be Yourself Jet Set Fashion Show 2010 Saks Fifth Avenue Kickoff Party," benefiting the Linda Crnic Institute for Down Syndrome, supported by the Global Down Syndrome Foundation, at Saks Fifth Avenue Cherry Creek in Denver, Colorado, on Tuesday, July 27, 2010.